Graduation from college is a major accomplishment in any person's life. This is why it is of utmost importance to look and feel like a true winner on this monumental occasion. The wise graduating student knows that there's no better place to get all your graduation wardrobe needs than Gradshop.com. 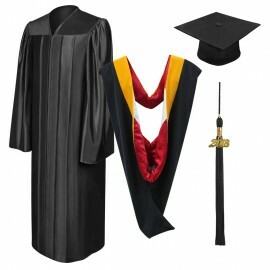 We provide graduates all over the world with top quality college graduation apparel at unbelievably low prices. A major advantage we have over conventional stores is that being an online shop means we do not have the high operating costs they have. Therefore, our operating costs are kept to a bare minimum which translates too much lower prices for our outstanding bachelor graduation products. From the graduation hoods designed to give you that distinct look, to the elegantly crafted bachelor's gowns and caps, you're sure to stand out from the crowd come graduation day. 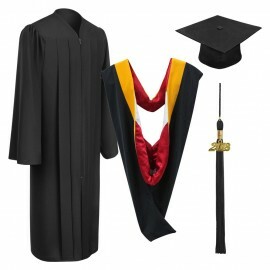 There's no need to wait, order your bachelors graduation gown, cap, tassel and hood only from Gradshop right now!